Happy Wednesday, Friends! Can you believe Ginger Grand celebrated his 6th birthday last week? 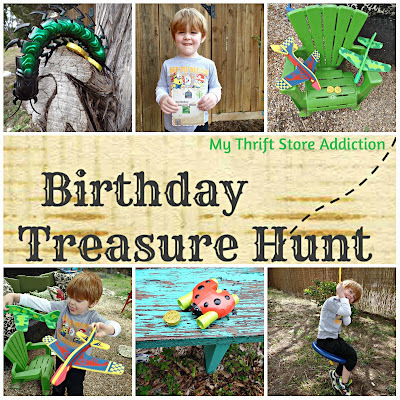 The fun birthday badge I sent him was a big hit and only took 15 minutes to make. 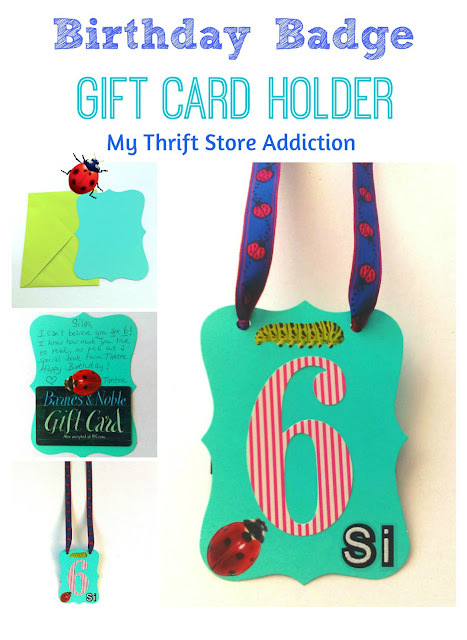 A gift card can be attached, plus most of the craft supplies are from the dollar store! Being a long distance grandparent has its challenges! I miss my only grandchild dearly and since Ginger Grand has a fine appreciation for crafts, I usually send at least one handmade gift for special occasions. He's always loved books and even more so now that he is reading on his own. I came up with the idea of a birthday badge when I was contemplating a special way to wrap the gift card I planned to give him. 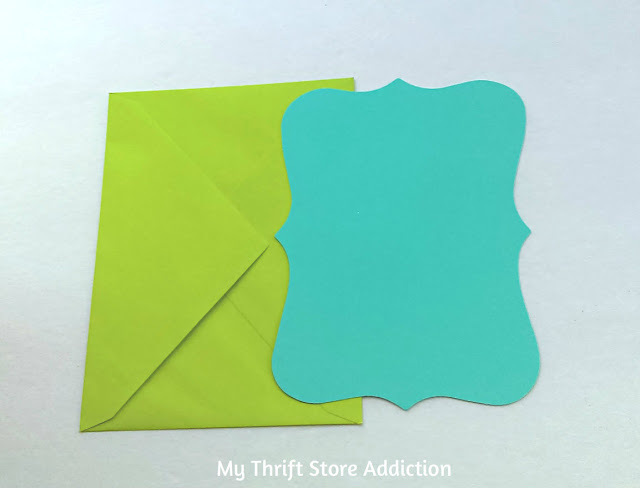 It started with this colorful note card, I bought from the dollar store awhile back. Next, I chose a cute sticker that was large enough to attach the gift card. 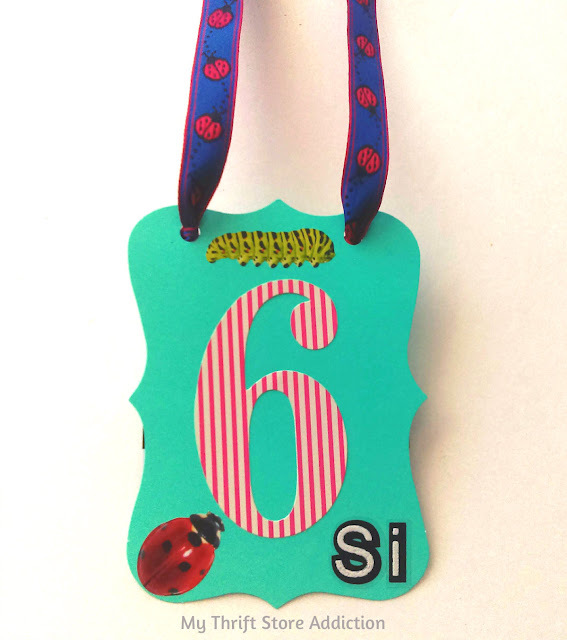 Ginger Grand loves ladybugs so I used one left from our summer crafts together. I wrote a message for the birthday boy, then used a hole punch on each side of his name. Now for the front. 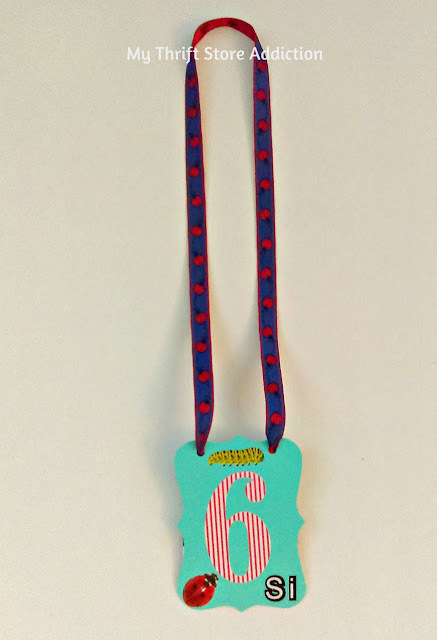 I added a large #6 in the center and used letter stickers for his nickname in the bottom corner before decorating the badge with more crawling friends. Last, I added a strand of ladybug ribbon I had on hand, by threading an end through each hole and double knotting at the back. The ribbon was the only craft supply I used for this project that wasn't from the dollar store. Think of all the ways the badge could be personalized. Choose the colors, stickers and occasion that would delight a little one in your life. As an alternative to a gift card, a coupon could be created for a special activity or outing. Remember to join us tomorrow for the Vintage Charm link party! 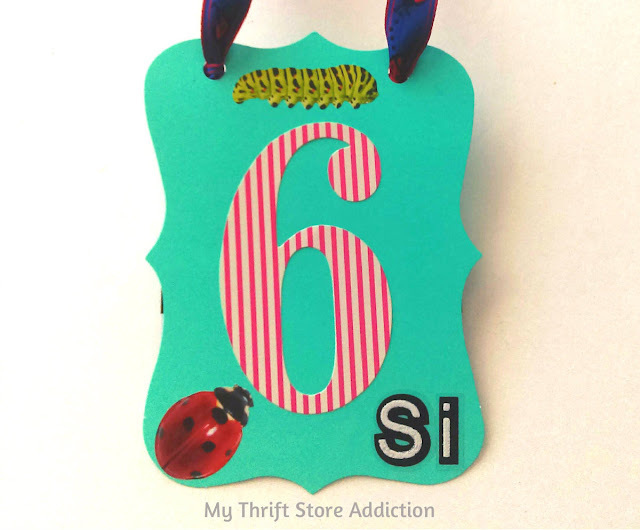 Thank you for sharing your idea for a birthday badge at the Snickerdoodle Create~Bake~Make link party! Pinning on the Snickerdoodle board. Aww, so cute! I can just picture him wearing it all day! Looks like it was a big hit! You are so creative! What a unique gift card holder! Cute! This is so cute and perfect for kids. Love the creativity for this. Cute idea! 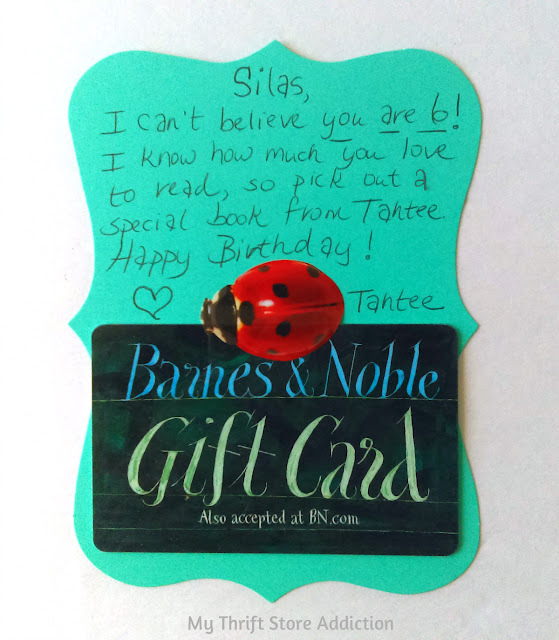 I like the creative way to give a gift card! How sweet! I love this idea and can't wait to make one for Maddux! Very sweet. I love it as a way to give a gift card. 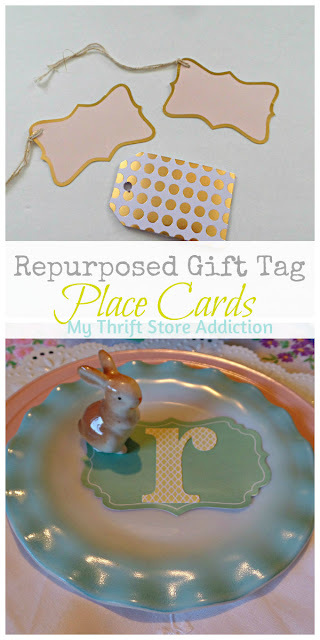 I love this and think this is a great way to gift a card. This is so simple and so cute! My girls would love this. aw, I can't believe he's 6! I know you miss him dearly! Love this cute badge. I can see why it was a hit! Such a cute idea...a birthday badge! Mine would hang it on their bedroom doors when they were done wearing it! So cute and I love the fact that he could wear it! So sweet Cecilia. I bet Ginger Grand got a lot of attention with his special birthday badge. I am sure he was very proud of it. This is so cute! I love that it's fun, but easy to do! Such a great idea to turn the card into a badge they can wear! My kids would love that! Such a cute idea Cecilia. I bet he wore it proudly!! Thanks for sharing this fun idea with SYC. This is so adorable. Thanks for sharing at C&C with J&J.